Within the talks themselves, Iran has been able to create a separation between the nuclear issue and its ongoing, untrammeled buildup of long-range missiles that can carry a nuclear warhead, support for terror, subversion and aid to Islamic groups that pose the Arab regimes, subversive activity in South America, and continued gross human rights violations. The big winner of the international coalition's war on Islamic State is Iran. The war is not only weakening a bitter enemy of Shiite Iran, but also strengthening Iran's main ally in the region  Syria, as well as Hizbullah. The main players in the Middle East continue to focus on the nuclear talks between Iran and the leading powers, primarily the United States. The results of these talks, especially if they ultimately lead to a "bad agreement" between the United States and Iran that makes the latter a nuclear-threshold state, will likely have a decisive effect on the dramatic, formative processes reshaping the Middle East that will eventually affect U.S. and European national security. The national security strategy that the White House published in February states, among other things, that "We are currently testing whether it is possible to achieve a comprehensive resolution to assure the international community that Iran's nuclear program is peaceful, while the Joint Plan of Action has halted the progress of Iran's program." The document describes the sanctions regime and its achievements in stymieing the Iranian nuclear program. This document goes on to assert that "Stability and peace in the Middle East and North Africa also requires reducing the underlying causes of conflict. America will therefore continue to work with allies and partners toward a comprehensive agreement with Iran that resolves the world's concerns with the Iranian nuclear program." In actuality, the signing of an agreement that affords Iran a threshold capability to produce nuclear weapons will probably mean the continuation of the worrisome trend of Iran's conquest of strategic locations in the Arab domain from the Persian Gulf to North Africa, and the continued undermining of stability in these areas. Meanwhile, Iran will keep exploiting the weakness of U.S. foreign policy in the region and the divisions prevailing in the Arab world since the outbreak of the Arab Spring. In the context of more than a decade of futile nuclear talks, Iran  an island of stability in the chaos that has emerged in the Middle East  keeps deceiving the international community. Along with its successes, within the talks themselves, in maintaining its crucial nuclear capabilities (thousands of centrifuges and ongoing R&D) and regional status, it has been able to create a separation between the nuclear issue, which enjoys the spotlight, and its ongoing, untrammeled buildup of long-range missiles that can carry a nuclear warhead, support for terror (including providing Hamas and Hizbullah with rockets and the know-how to manufacture them), subversion and aid to Islamic groups that oppose the moderate Arab regimes, subversive activity in South America, and continued gross human rights violations (including the arrest of journalists and bloggers, the infringement of political rights and women's rights, and so on). On the ground, Iran already holds sway over four Arab states. 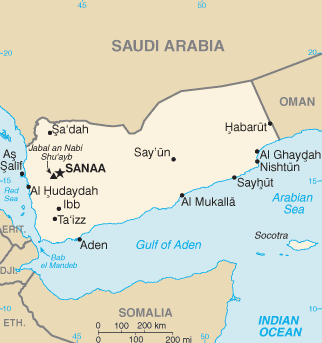 They include Yemen where the Houthis recently completed their takeover, which will give Iran access and control over the Bab el-Mandeb Strait leading into the Red Sea; Iraq; Syria; and Lebanon. The latter three give Iran a "Shiite arc" from Iran itself to the shores of the Mediterranean Sea. From a historical viewpoint, which puts the struggle between Shiite Iran and the Sunni Arab states in sharper relief, Iran symbolically controls both Baghdad (founded in 762 CE by Mansur, the second Abbasid Caliph, on the ruins of the previous capital of the Sassanid Persians, Ctesiphon) and Damascus (which was the capital of the Islamic empire during the Umayyad dynasty). Iran now regards itself as spearheading a redress of historical injustices that relegated the Shiites to a minor status in the Arab and Islamic world. As it works to encircle Israel, Iran is also working to encircle the Arab and Sunni world and to hit it in its soft underbelly, namely, the Shiite populations that exist in large and strategic concentrations in Saudi Arabia (in the oil-rich eastern part of the kingdom) and in Bahrain (where a Shiite majority is ruled by Sunnis). Bahrain serves as a base for the U.S. Fifth Fleet, which operates in the Persian Gulf, and is also a constant focal point of Iranian subversion and aid to opposition elements. Iran's takeover of Yemen, by means of the Houthi rebels, affords it an opportunity to expand its subversion via the common border of Yemen and Saudi Arabia. Moreover, it is seriously undermining the U.S. war against terrorism, since Yemen has served as a vital partner in the fight against al-Qaeda. (The U.S. embassy and an anti-terror training center used to train Yemeni counter-terrorism forces were occupied by Houthi, and European embassies were evacuated.) This goes hand-in-hand with its activities along the Saudi border via the border with Iraq. Iran is thereby succeeding to encircle Saudi Arabia, its main rival in the Arab domain. The two states are also waging an ongoing struggle in the Iraqi, Syrian, and Lebanese theaters. Thus, Iran has been able to surround Saudi Arabia from the east and the south. Its control of the Yemeni ports allows it to transfer weapons to the Shiites in Saudi Arabia and also to Sudan, from whence they proceed to Egypt and the Gaza Strip. 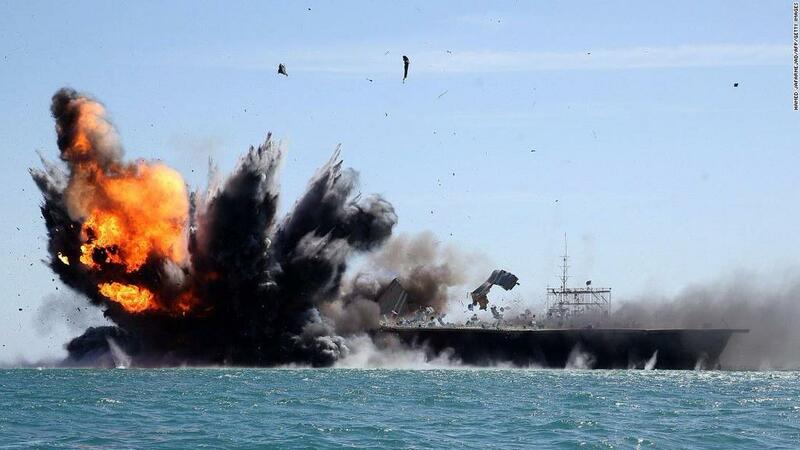 In this regard, as part of its naval power projection in the Persian Gulf and beyond, and while negotiating a nuclear agreement, the Revolutionary Guards navy (IRGCN) held exercises near the strategic Straits of Hormuz, sinking a mock-up of the USS Nimitz, an American aircraft carrier. Against this backdrop, a number of Arab governments, led by Saudi Arabia, have expressed great concern about the emerging agreement between the United States and Iran, which will leave Tehran with threshold nuclear capabilities and enable it, under the nuclear umbrella, to continue its subversive activity undisturbed. It should again be emphasized that the issue of Iran's detrimental involvement in the internal affairs of Middle Eastern states, along with its terror activity, is not being raised at all in the nuclear talks, Iran having adamantly opposed this in all stages of these talks. Israel and Arab states  Saudi Arabia, the Gulf states, and Egypt  fear that the nuclear agreement with Iran will leave it with major capabilities in the nuclear field, particularly regarding uranium enrichment, and indeed will enable it  if its leadership decides  to produce nuclear weapons. Meanwhile, the tight sanctions regime against Iran, which was achieved with great effort and diplomatic activity that took years, will gradually erode and end. The latest report of the International Atomic Energy Agency (IAEA) notes that, while Iran has cooperated with the IAEA on a number of issues, it still has not provided an answer about the components of its nuclear program suspected to be military in nature. "These measures related to the initiation of high explosives and to neutron transport calculations." The Arab states, with Saudi Arabia at the forefront, would rather see the nuclear talks collapse than the signing of a bad agreement that enables Iran to advance its nuclear program and expand its regional influence. These states also warn that such an agreement stands to heat up the Middle Eastern nuclear and conventional arms races (with probable Russian arm sales) in an effort to contend with Iran's growing military and political might. In the eyes of Arab states, the United States' irresolute policy in the Middle East is facilitating the spread of Iran's regional hegemony. 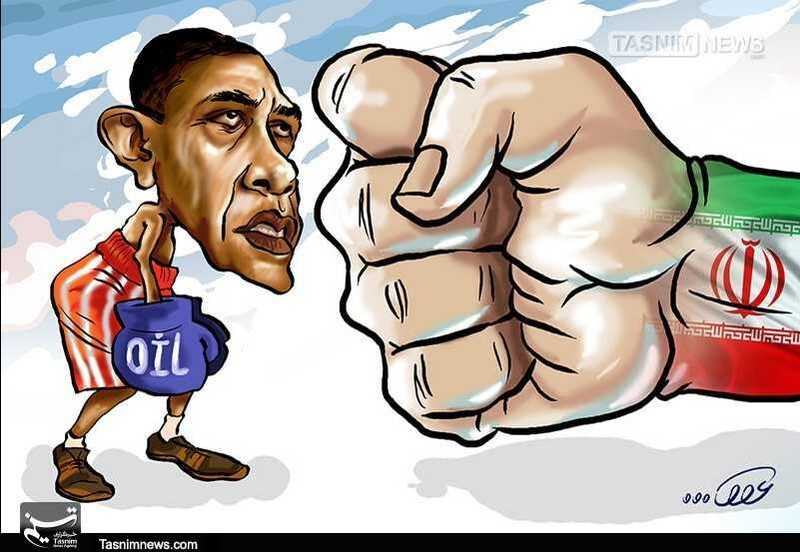 The United States abandons old allies (such as Egypt and Saudi Arabia) while portraying the agreement with Iran as the Obama administration's crowning achievement in the foreign policy sphere. Meanwhile, Washington winks at Iran in the context of the war against Islamic State, while grooming Iran as its partner and as a legitimate international actor. The United States thereby grants an imprimatur to Iran's de facto takeover of Iraq, from which it casts its gaze further on toward Syria, Lebanon, and more recently, Yemen. The Gulf states also fear an Iranian takeover of Bahrain (which recently was rescued through the intervention of Saudi forces) and of what still remains of the old Arab domain. Currently, the big winner of the regional-international coalition's war on Islamic State is Iran. The war is not only weakening a bitter enemy of Shiite Iran, but also strengthening Iran's main ally in the region  Syria, as well as Hizbullah indirectly. The "moderate" Arab states, for their part, have pushed for the overthrow of Syrian President Bashar Assad and the weakening of Hizbullah, and were disappointed by the irresolution that the U.S. president showed after Assad crossed the red line of using chemical weapons. Over time, and despite the losses Hizbullah has suffered and the (weak) voices of protest within Lebanon, Hizbullah will come out stronger. It is already gaining experience in warfare under difficult conditions, and in a military framework alongside the Syrian army, as it extends its activities in the direction of the Golan Heights. Meanwhile Iran is tightening its grip on the region. It is not bothering to hide this; instead it makes clear that its activity in Syria and Lebanon is part of its national-security concept and defense strategy and is aimed at weakening Israel. Saudi Arabia, for its part, sees the fading of what remains of its influence in Syria and Lebanon. The dramatic developments in the Middle East since the outbreak of the Arab Spring have entailed far-reaching sociopolitical and religious changes, as the region assumes a new form. A major factor is the rapid decline in the role of the United States, once dominant in shaping the region's main processes, and the rise, in its stead, of Iranian power and influence. A nuclear agreement with Iran will further amplify this trend and weaken the actors that are trying to contain Iran's influence. In a Middle East undergoing change, Iran, despite the sanctions and the economic distress caused by low oil prices, has managed to harness the new rules of the game and the new regional and international reality to its own interests. Meanwhile the regional upheaval, which is far from running its course, has caused the United States to lose its credibility, position, and longstanding influence in the region. The agreement will also likely have negative repercussions for the other components of U.S. policy in the Middle East, and particularly for the possibility of advancing a diplomatic process with the Palestinians. Iran, which opposes Israel's existence, calls for its destruction, and is staunchly against any diplomatic process, will step up its support for the Palestinian terror organizations, particularly Hamas and Islamic Jihad. Recently, Iran and Hamas, which had drawn apart over the crisis in Syria, have been warming up their ties again, and Iran's Supreme Leader Ali Khamenei increasingly calls to arm the Palestinians in the West Bank. There are also signs of cooperation between Hizbullah and Hamas on Israel's northern border. Meanwhile, Iran's growing entrenchment in the Syrian-Lebanese domain "from Quneitra to Rosh Hanikra" (i.e., all along Israel's northern border) will likely make that border one of tension and confrontation between Iran and Israel. At present, Iran possesses (almost) all of the components and the know-how needed to produce nuclear weapons. The agreement taking shape does not purport to divest Iran of those capabilities  only to increase the time it will need to build a nuclear bomb if its leaders decide to do so. Any agreement that preserves Iran's nuclear capabilities entails the possibility that they will come to fruition in the medium to long term, subject to Tehran's geostrategic considerations and the possibility that it will be forced to pay the price of violating the agreement. Iran's leaders, with Khamenei at the forefront, have already started to prepare Iranian public opinion for a confrontation with the West over the nuclear talks. It could entail maintaining a "resistance economy" as the Iranian people pay a price for years of opposition to the United States and to its efforts to restrict their achievements. In actuality, though, this will not be necessary as the West repeatedly capitulates in the negotiations. The Iranian regime will not change in nature. The subversion outside of Iran and the push to expand its influence will continue and even intensify. While some in the West speculate that the regime will moderate over time, it is just as likely that the Revolutionary Guards will keep gaining power and complete their takeover of the Iranian Revolution. That is not good news for the Iranian people, who long for a change in keeping with Rouhani's promises. The U.S. president disappointed them as well in 2009. In sum, a nuclear agreement with Iran stands to be signed precisely when the Middle East is at a critical juncture. The struggle over the remolding of the region has not yet been decided. It is being waged between the proponents of change  such as Islamic State, Al-Qaeda, the Muslim Brotherhood and Iran; and the proponents of stability  the moderate Arab states including Egypt, Saudi Arabia, the Gulf states, and Tunisia, along with Israel. The nuclear agreement will likely give Iran a tailwind and plunge the Middle East, in the medium to long term, into a nuclear arms race, intensify Iranian subversion and terror under the nuclear "Iron Dome," and create a dangerous security reality for the moderate elements, some of which, in the past, were U.S. allies.